As a prequel it was pretty cool, it answered some questions, gave little hints to the older movies, it was nice. But as a movie it was like any other horror movie, especially towards the end. 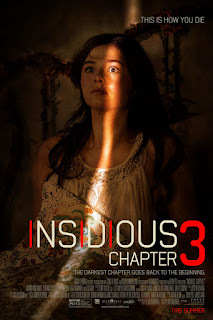 What I really loved about Insidious 1 and 2 was the directing. James Wan did an amazing job with those two movies even with The Conjuring he did a brilliant job directing it. Here Leigh Whannell takes his first shot at directing and you can tell that he tried to keep it similar to the previous movie but it’s not quite there.